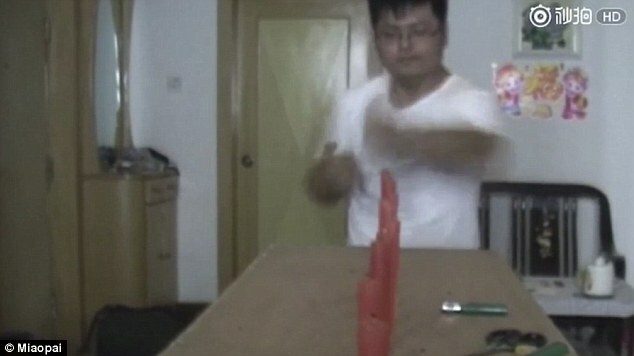 This is the incredible moment a young Chinese man manages to extinguish 15 candles with air punches. 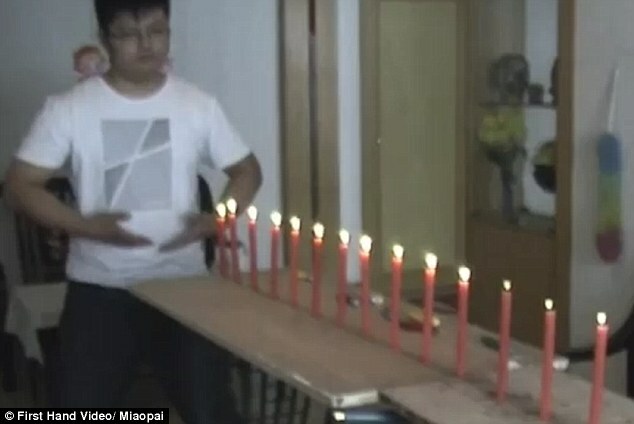 Chen Jia, 27, can be seen punching out the candles in less than 10 seconds in the clip. The footage was uploaded to Chinese video sharing site Miaopai on October 12. Chen comes from China's Henan province which is the birthplace Shaolin martial arts. Shaolin Kungfu is known as China's largest school of kungfu.